In my short time in Germany, I have lived through several “crises”. The first was in full swing when I arrived in Bavaria, the 2007 financial crisis. Coming from the north east of England, I had first hand experience of the effects of financial Armageddon. An increasing homeless population was obvious on the streets. Everywhere I went it seemed there were more and more shops closing and people being made redundant. Things had got to such an extreme, that giant franchises such as McDonald’s were closing their doors, unable to make a profit in dying British high streets. When Bavarian colleagues would complain about the problems of the financial crisis, I was confused. In my small village of 15,000 people, little had changed. In fact, shops were opening, such as the two storey Lederhosen store, newly built to supply the local population with a product that most people buy one or twice in their lifetimes. Hardly a sign of increasing hardship. 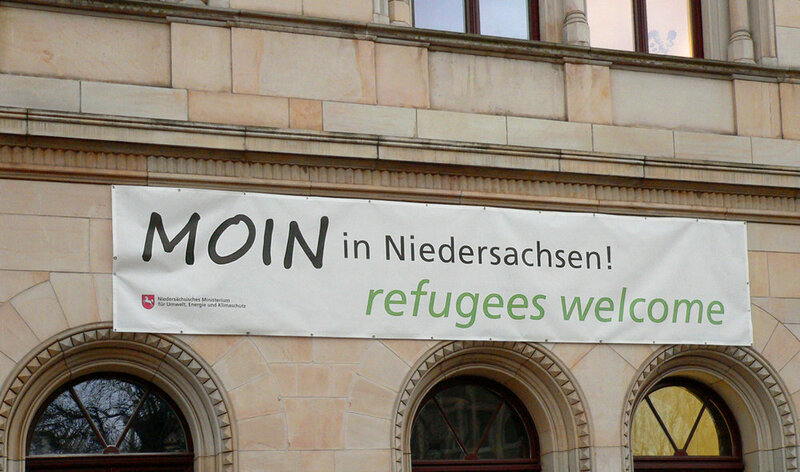 The next major crisis was in 2015, when Angela Merkel made the decision to welcome Syrian refugees. Initially, this was accurately described as a crisis. With makeshift tent cities springing up in Munich and questions over security, it was clear this was a major international event. Yet, it hardly strayed into the realms of total chaos, despite the outcry from anti-immigration advocates and right-wing media outlets. There were and still are major logistical, integrational and security questions to be answered, but to continue the narrative of refugee crisis in Germany is disingenuous at best. This year Germany has had two crises, that of the election of the AFD to the Bundestag and the current crisis following the collapse of coalition talks at the beginning of the week. Both these events will have ramifications, what they are is at this point unclear. However, it is hardly as earth shattering as the English language media would have people believe. For one thing, the polling for over year near enough predicted the percentage of votes the AFD could expect. Their eventual 13% take was only surprising to those who had not paid attention or were wilfully stirring the pot of German angst. Listening to the English language media and commentariat, you could be forgiven for thinking that the Nazis had suddenly reappeared, all Hugo Boss designed uniforms and skull emblazoned hats, goose stepping their way into government. Instead, what can be seen is a bunch of careerist hucksters, not entirely in chaos but dallying close to the abyss. Things could change, of course, but up until they do I am not prepared to start digging my bomb shelter just yet. As for the breakdown of coalition talks, I was surprised to learn that Germany was now in a political crises so large, it was comparable to the horrors of the 1940s. Not only that, it was possibly more catastrophic than that of Brexit. Yet, although the German media said shitstorm and some mentioned crisis, generally the stories focused on how and why talks collapsed and what process would be followed to resolve the issue. There are a series of choices that must be made and some hard decisions to come, but no one is suggesting I stock up on canned goods and start boarding up the windows. Brexit and Trump have turned the English language media into fearmongers, to some extent legitimately. The chaos of American and British politics has infected how everything is reported; often we are confronted by binaries, either we do X and we live in Utopia or we do Y and live in a Orwellian hell-scape, there is no middle ground anymore. You either part of the solution or part of the problem, despite both options being as clear as mud. This fogged lens of panic sweat is not just left to domestic problems, but is directed to all political issues, large and small around the globe. The world is a complicated place and not everything can be explained by one specific cultural understanding. Sometimes it pays to listen, instead of gibber vaguely understood Google translated articles, to fire off half baked tweets, in a vain attempt to show how relevant and worldly we are. There may be a crisis coming. It might already be here. Whatever it is, hyperbole and histrionics will not be part of the solution.